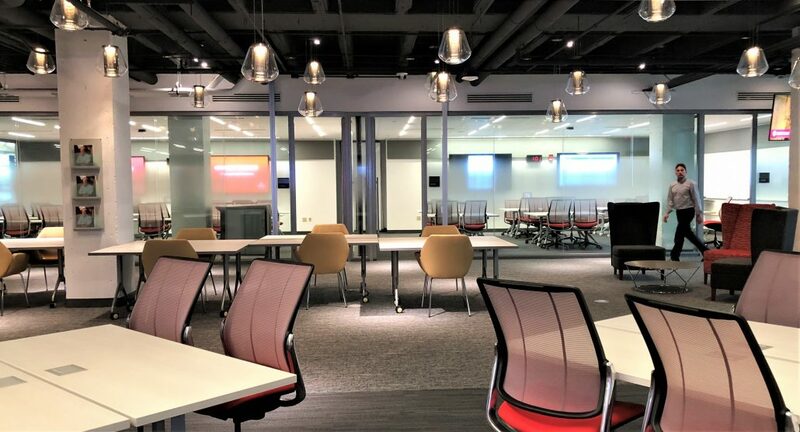 Initially, the Learning Commons project came out of practical need: When the first collaborative learning classroom proved to be a huge success after it opened in 2015, the School realized it was running out of active learning spaces. 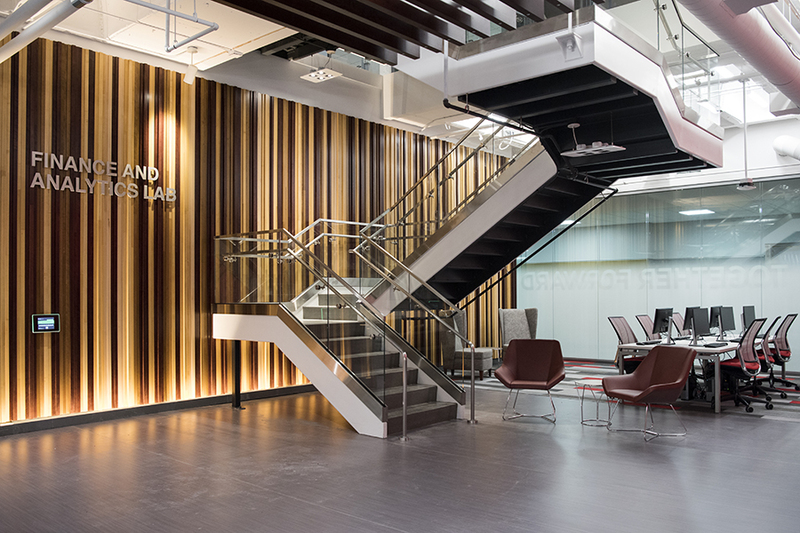 The Campus turned to Potter Lawson to help reimagine the heart of the School of Business and transform space on three floors into an active learning, flexible and forward thinking commons space. The first floor was transformed and draws students and visitors into the space. 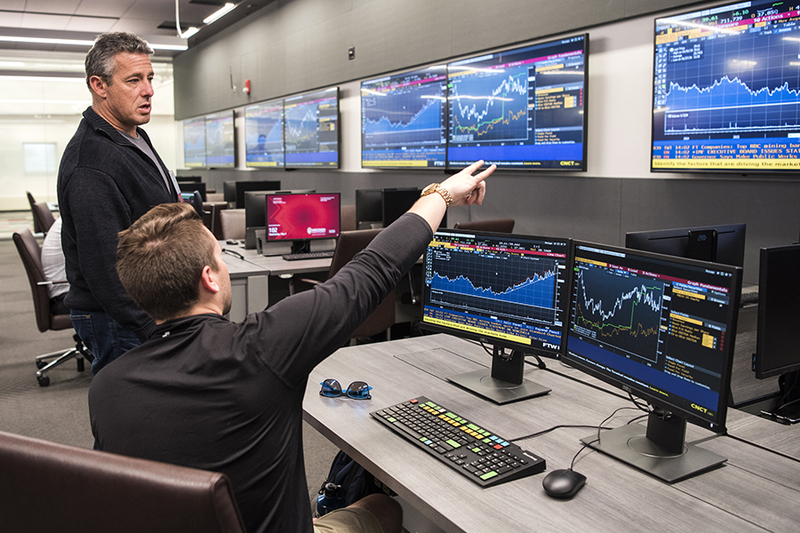 A state-of-the-art Finance and Analytics lab that uses cutting-edge technology and software including Bloomberg Terminal, an otherwise cost-prohibitive software that donors have shared for WSB student learning. The 45-seat lab also has video and other capabilities for teaching remotely. 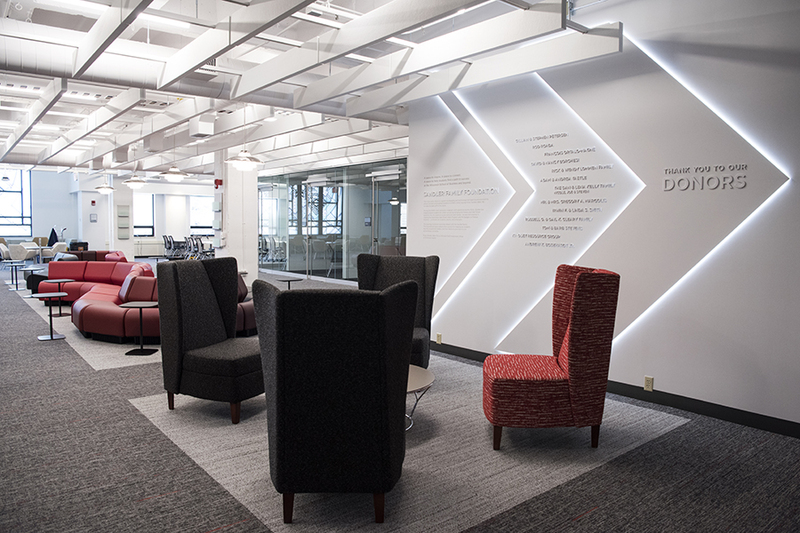 Also on the first floor, the WSB’s Business Library is the third most utilized library on the UW–Madison campus. Static shelving will reduce the number of book stacks needed, creating more flexible spaces and microenvironments. 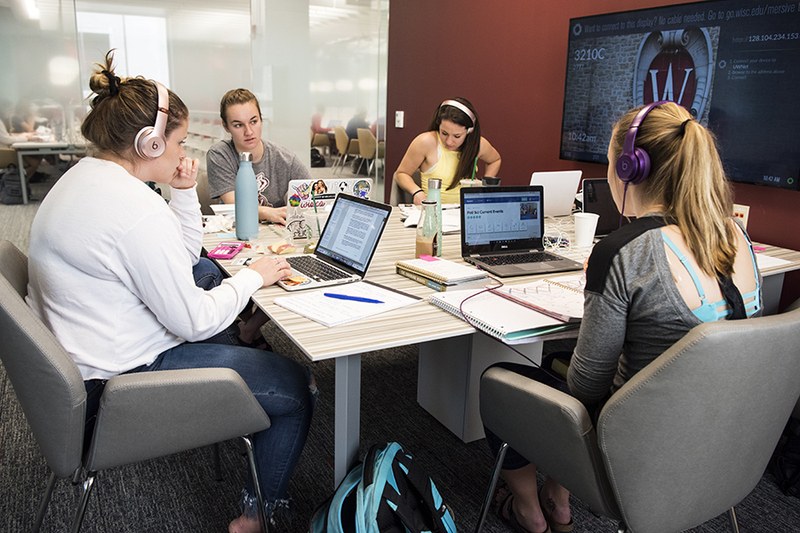 The third floor is geared toward quiet, head-down study—a place students can find private nooks and areas for individual work. The floor also has eight breakout rooms. Original long, linear tables in rows were replaced with a variety of more comfortable seating options. Stationary shelving reduces the density of traditional book stacks and frees up more open space and areas for students to occupy. The Commons features a variety of LED lighting and harvest as much available daylight as possible. Using light as a focal design element, the project makes use of natural views and sightlines to create a harmonious aesthetic and an environment that is more conducive to learning. The project also channels ambient noise to help users focus without distractions. All three levels will have stairs that connect the floors top to bottom, ADA access, power plug-ins for electronic devices, and after-hours accommodation.r, carcass chilling and cooling facilities, and a meat processing area.